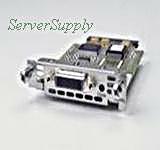 Cisco - WIC-1DSU-T1-V2 Cisco 1600 1700 2600 2600XM 3600 3631 3700 Series Routers T1 DSU/CSU WIC WAN Interface Module Card WIC-1DSU-T1-V2 800-22193-02 A0. Cisco - VWIC-2MFT-T1-DI Cisco VWIC-2MFT-T1-DI 2-Port Multi-Flex Drop and Insert Network Interface Module Router Trunk Card. 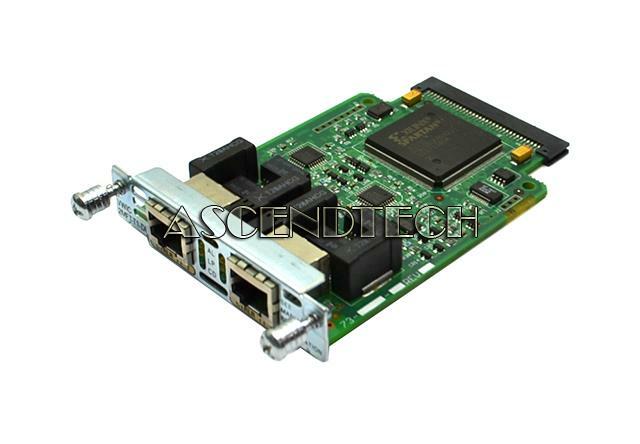 Cisco - VWIC-2MFT-T1 Cisco VWIC-2MFT-T1 2-Port Multiflex Network Interface Module Router Trunk Card 800-04477-01 B0. 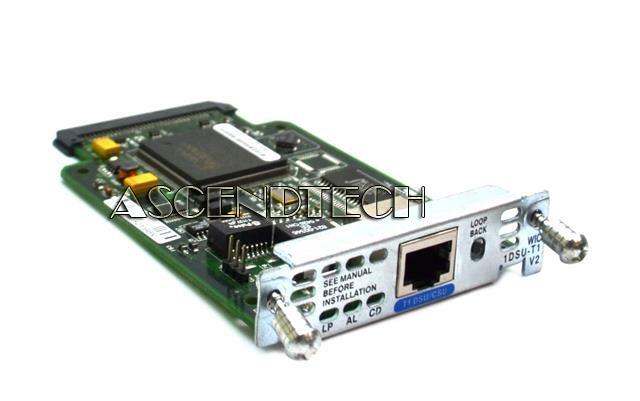 Cisco - VWIC-2MFT-T1 Cisco VWIC-2MFT-T1 2-Port Multiflex Network Interface Module Router Trunk Card 800-06724-02 B0. 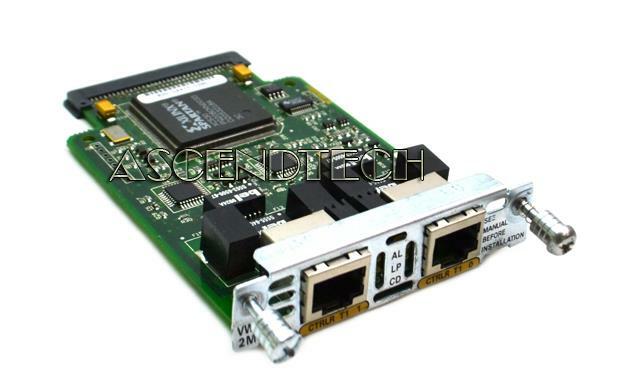 Cisco - VWIC-2MFT-T1 Cisco VWIC-2MFT-T1 2-Port Multiflex Network Interface Module Router Trunk Card 800-04477-04 B0. 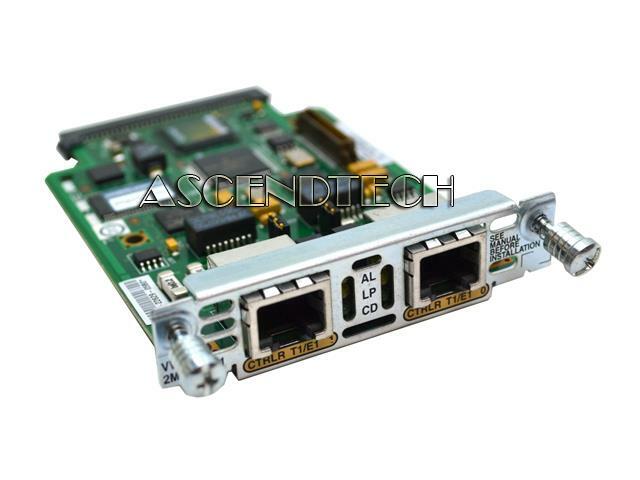 Cisco - VWIC-2MFT-T1 Cisco VWIC-2MFT-T1 2-Port Multiflex Network Interface Module Router Trunk Card 800-04477-03 A0. Cisco - VWIC2-2MFT-T1/E1 Cisco VWIC2-2MFT-T1/E1 2-Port Multiflex Network Interface Module Router Trunk Card 800-22629-05 B0. Cisco - VWIC-2MFT-T1 Cisco VWIC-2MFT-T1 2-Port Multiflex Network Interface Module Router Trunk Card 800-04477-05 A0. Cisco - VWIC2-2MFT-T1/E1 Cisco VWIC2-2MFT-T1/E1 2-Port Multiflex Network Interface Module Router Trunk Card 800-22629-05 D0. 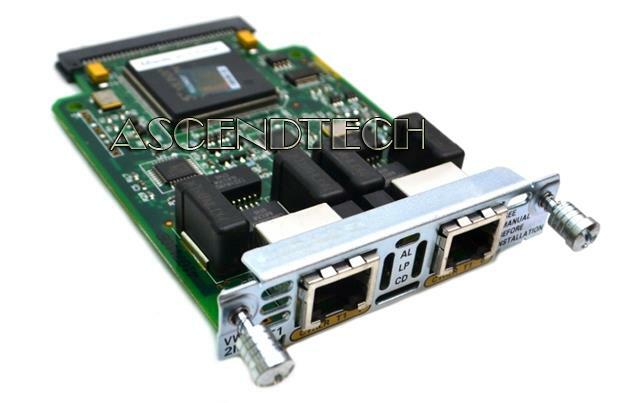 Cisco - VWIC-2MFT-T1 Cisco VWIC-2MFT-T1 2-Port Multiflex Network Interface Module Router Trunk Card 800-04475-03 B0. 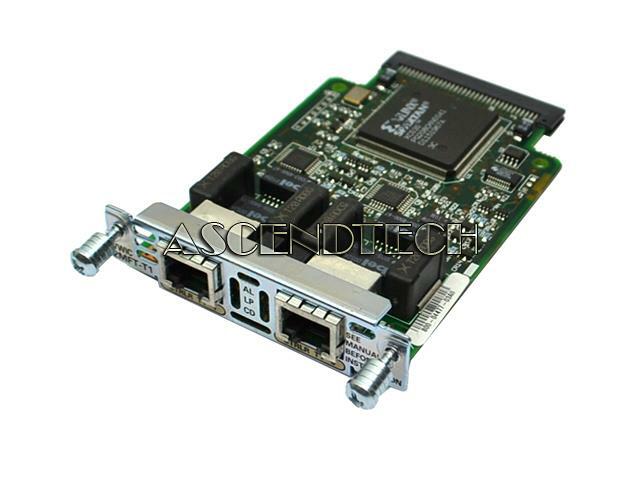 Cisco - VWIC-2MFT-T1 Cisco VWIC-2MFT-T1 2-Port Multiflex Network Interface Module Router Trunk Card 800-04477-04 C0. 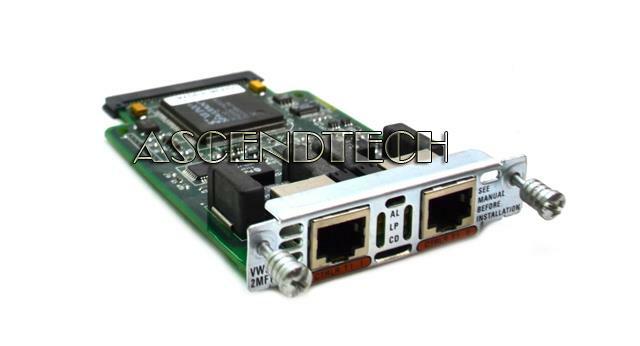 Cisco - VWIC2-2MFT-T1/E1 Cisco VWIC2-2MFT-T1/E1 2-Port Multiflex Network Interface Module Router Trunk Card 800-22629-05 C0. Cisco - IAD2431-1T1E1 Original Cisco IAD 2400 Series Integrated Access Router with 2 Port Multiflex Trunk High Density Voice Network Interface Module VWIC2MFT-T1 IAD2431-1T1E1 800-21617-10 47-14526-02. Cisco - IAD 2400 Genuine Original Cisco IAD 2400 Series Integrated Access Router IAD2431-1T1E1 800-21617-10 47-14526-02. Cisco - IAD 2400 Series Genuine Original Cisco IAD 2400 Series Integrated Access Router with 512MB Compact Flash Memory Card MEM3800-512CF-ITS IAD2431-1T1E1 800-21617-10 47-14526-02. Cisco - IAD 2400 Genuine Original Cisco IAD 2400 Series Integrated Access Router with 2-Port Multiflex Router Trunk Card and 512MB Compact Flash Memory Card MEM3800-512CF-ITS VWIC2-2MFT-T1/E1 IAD2431-1T1E1 800-21617-10 47-14526-02. 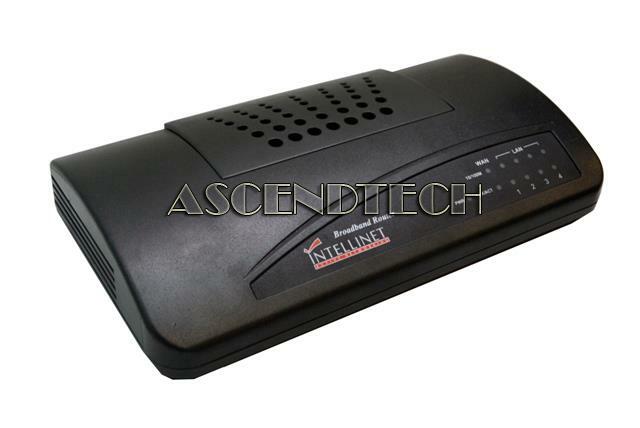 AscendTech - 4300T Edgewater Networks 4300T 4-Port 10/100 T1/E1 WAN Converged Network Appliance Router 120-4300T-01-B. Cisco - CISCO1841-T1SEC/K9 CISCO1841-T1SEC K9 Cisco Systems 1841 Security Bundle Router. New Factory Sealed. Cisco - CISCO1921-T1SEC/K9 CISCO1921-T1SEC K9 Cisco 1921 Integrated Services Router - 2 Ports - 2 Slots - Rack-mountable Wall Mountable. New Factory Sealed.